This tutorial was written by LadyAries on December 13th, 2013. And it can be purchased from HERE. I am using the beautiful PTU kit "Icy Tendrils" by Devilish Dezines. Open a new image 650 x 650. 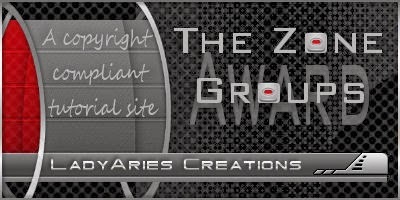 Frame4 resize 70 percent, copy & paste to your blank tag. Image, free rotate left 7.00 degrees. Activate the magic wand and click inside the frame. Selections modify, expand by 10. 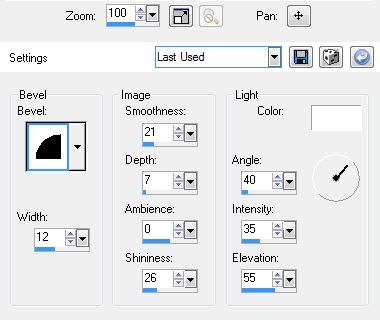 Open a new raster layer and copy & paste paper2, selections invert, delete, select none. Move your background under your frame. Slide your paper up a little bit and then use your pick tool to stretch it just a bit so that it fills the small corners of the frame. Activate the magic wand and click inside the frame. Selections modify, expand by 5. Open a new raster layer, now open your tube, mirror & copy & paste it into your tag. Once you have it moved to where you like it, selections invert, delete, select none. Move your tube under your frame. In your layers palette change your blend mode to Luminance Legacy. Element46 resize 75 percent, copy & paste to the bottom of your tag. Duplicate & flip. Open your tube once again and resize to 40 percent, copy & paste to the right side of your tag. Element38 resize 88 percent, copy & paste to the bottom of your tag. Element27 resize 16 percent, copy & paste to the bottom right side of your tag. Duplicate and move the second one over just a bit so that the 2 will cover the bottom of her legs. Element27 again resize 20 percent, copy & paste to the bottom left side of your tag. Open new raster layer and send to the bottom, Open paper1 and copy & paste, apply your mask.